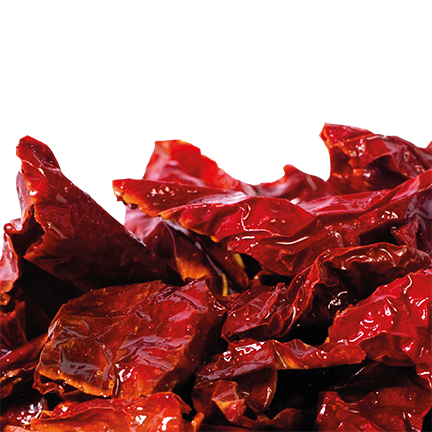 Cruskees are chips of non-spicy Crusco red peppers. 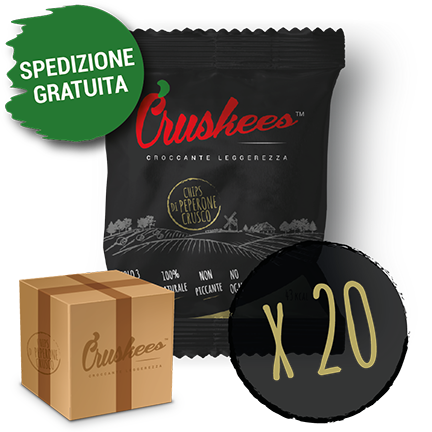 The product has an intense, enchanting taste, which stems from processing of “Crusco Peppers” a prominent food in the cultural and culinary traditions of Basilicata (Southern Italy). Its strong, sweet note is quite evident. This special product is used to enrich salads and is a great snack full of antioxidants. This is the best food product to enrich your aperitif. Cruskees are chips of non-spicy crusco red pepper. The product has an intense and enchanting taste. 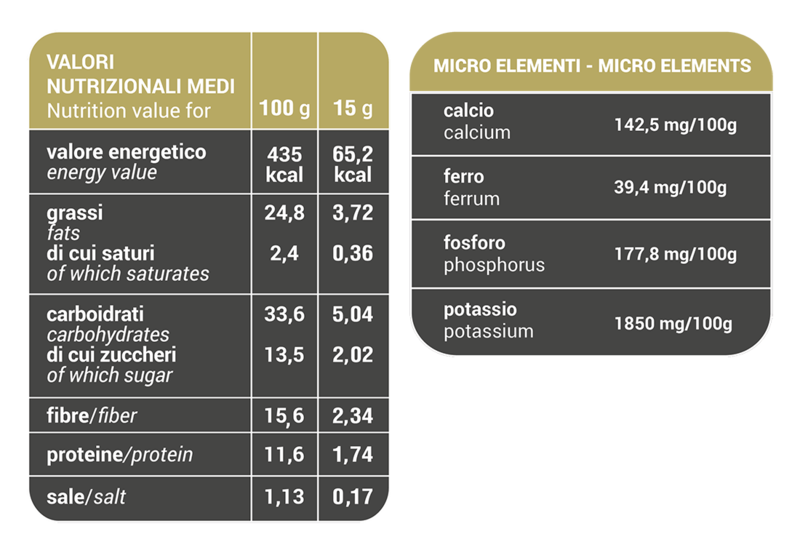 It stems from the processing of “Crusco Pepper”, a prominent food in the cultural and culinary traditions of Basilicata (southern Italy). The raw material is carefully selected, and the manufacturing processes are controlled to ensure its naturalness and freshness. 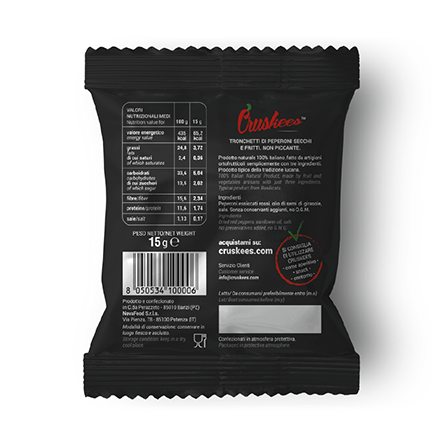 Cruskees is a simple snack, consisting of only three ingredients: Crusco pepper, oil and salt.